Want to learn quantum mechanics while playing a game? 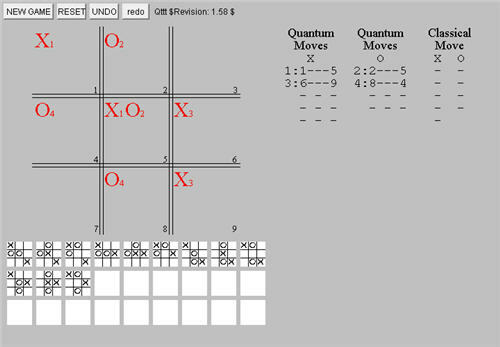 Check out Quantum Tic-Tac-Toe by Allan Goff of Novatia Labs. Each turn you play in two squares, indicating two potential plays that only resolve when states reach a circular entanglement. Or something like that.